Customers looking for low maintenance decking should consider composite or PVC decking. These products are rot and splinter free and offer years of enjoyment with minimal upkeep. We are stocking dealers for two of the industry leaders, Trex and Fiberon. From the tried and true wood fiber and plastic composite to the latest innovative PVC products, we can help you decide what works best for project. Trex is the industry leader in composite decking. 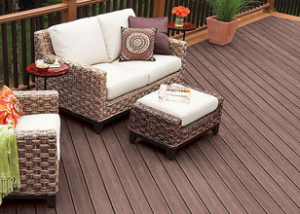 Offering 5 different decking lines, there is something for everyone as far as style and colors. Trex offers matching railing systems to compliment their decking. Trex decking is “green” as at least 95% of its content is from recycled materials. Trex offers a 25 year limited warranty on their products. More information can be found at http://www.trex.com. Fiberon offers 6 different decking lines along with complimenting railing systems. There latest product, Horizon, is an innovative product with a composite core with a PVC coating creating a durable stain resistant finish. Their Tropics colors, Ipe and Rosewood give the rich appearance of exotic hardwoods. 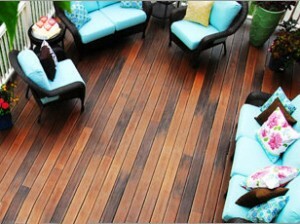 Further product information can be found at http://www.fiberondecking.com.